Conditional variance models attempt to address volatility clustering in univariate time series models to improve parameter estimates and forecast accuracy. To model volatility, Econometrics Toolbox™ supports the standard generalized autoregressive conditional heteroscedastic (ARCH/GARCH) model, the exponential GARCH (EGARCH) model, and the Glosten, Jagannathan, and Runkle (GJR) model. To convert from the previous conditional variance model analysis syntaxes, see Converting from GARCH Functions to Model Objects. Exponential, generalized, autoregressive, conditional heteroscedasticity models for volatility clustering. 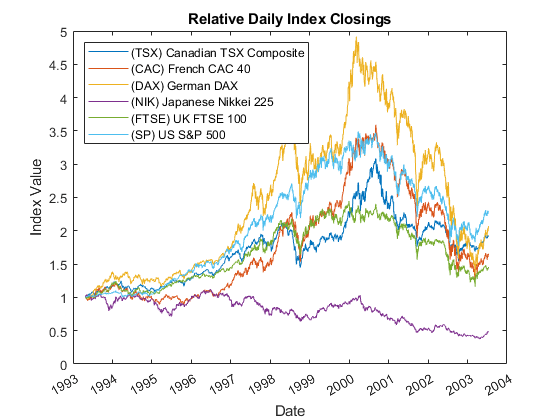 Assess the market risk of a hypothetical global equity index portfolio using a filtered historical simulation (FHS) technique, an alternative to traditional historical simulation and Monte Carlo simulation approaches. 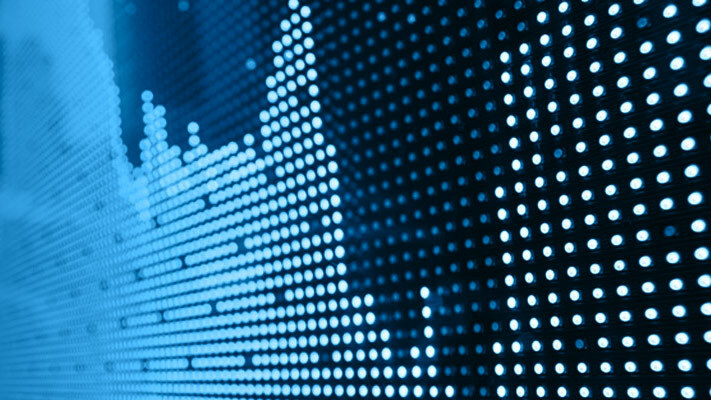 FHS combines a relatively sophisticated model-based treatment of volatility (GARCH) with a nonparametric specification of the probability distribution of assets returns. One of the appealing features of FHS is its ability to generate relatively large deviations (losses and gains) not found in the original portfolio return series. 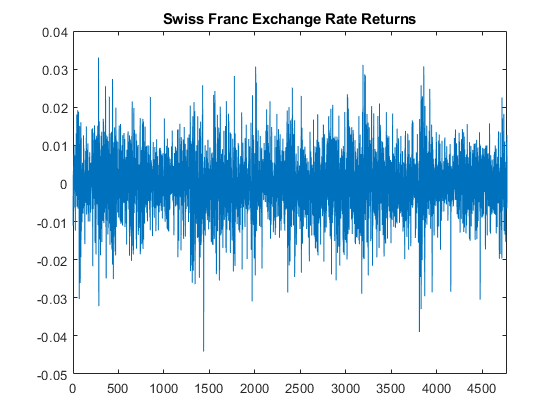 Model the market risk of a hypothetical global equity index portfolio with a Monte Carlo simulation technique using a Student's t copula and Extreme Value Theory (EVT). The process first extracts the filtered residuals from each return series with an asymmetric GARCH model, then constructs the sample marginal cumulative distribution function (CDF) of each asset using a Gaussian kernel estimate for the interior and a generalized Pareto distribution (GPD) estimate for the upper and lower tails. A Student's t copula is then fit to the data and used to induce correlation between the simulated residuals of each asset. 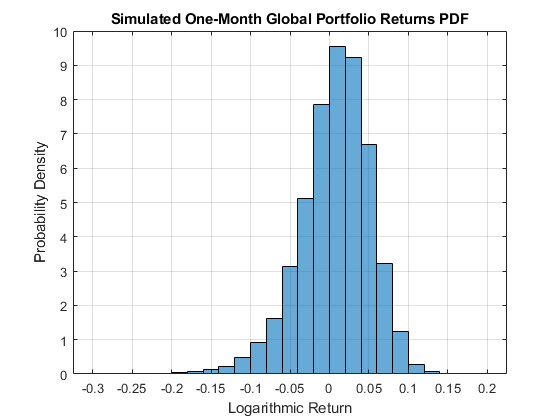 Finally, the simulation assesses the Value-at-Risk (VaR) of the hypothetical global equity portfolio over a one month horizon.